We’ve known this day was coming for a while. Michael Weatherly is leaving NCIS and he is being replaced by not one, but two brand new cast members. One of them will be a lady FBI special agent, and this week we learned that none other than Twilight and Bosch’s Sarah Clarke has signed on to join the cast for Season 14. Since the other upcoming character on NCIS is expected to be male, Sarah Clarke is obviously going to play Tess, a woman who recently moved from New York to Washington, D.C. from NYC’s Counter-Terrorism Unit. She’s described as a tough cookie and an extremely sharp agent who has been divorced several times. She’ll see her new NCIS family as her support unit, for better or for worse. The character was initially written for someone in their thirties, but Sarah Clarke is actually 44—and looking damn good for 44, if I may say so. THR is noting that while Tess was initially expected to become a regular during Season 14, the CBS drama now has plans to include her later during the current season. If all goes well, she has an option to come back next fall. 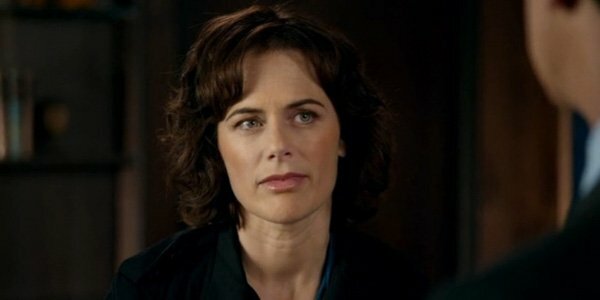 So far, Sarah Clarke is signed on for a couple of Season 13 guest stints. In addition to Sarah Clarke’s Tess, NCIS is also expected to add another new agent. The new male character will be an MI-6 agent named Clayton who should be in his late twenties or early thirties when he first shows up. Unlike Tess, Clayton will be a father and is super invested in his life and family, although he is described as “cool” and “detached.” The CBS drama hasn’t signed on the second actor, yet, but with the addition of Clarke, we should expect to see another new name pop up in the coming weeks. We'll let you know as soon as the show finds the right actor. In the meantime, Michael Weatherly is expected to finish out his run as Anthony DiNozzo at the end of Season 13. You can catch new episodes of NCIS on Tuesdays at 8 p.m. ET. The show also recently earned a huge renewal order through 2018, so if the new cast members gel with the team (and fanbase), they should have a gig for a while.